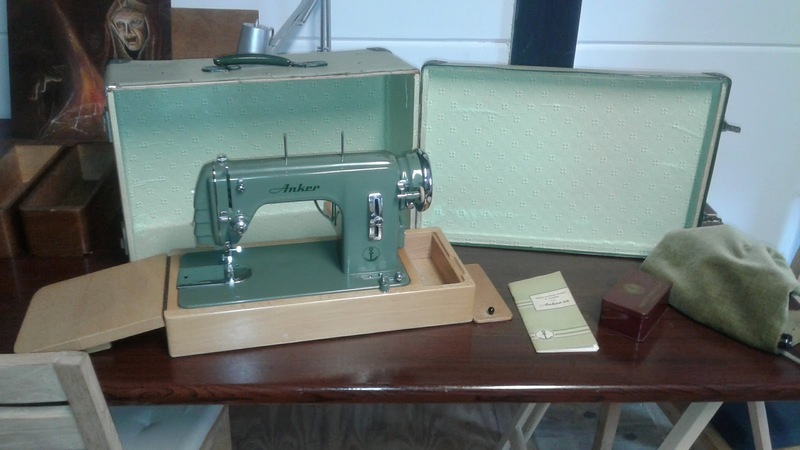 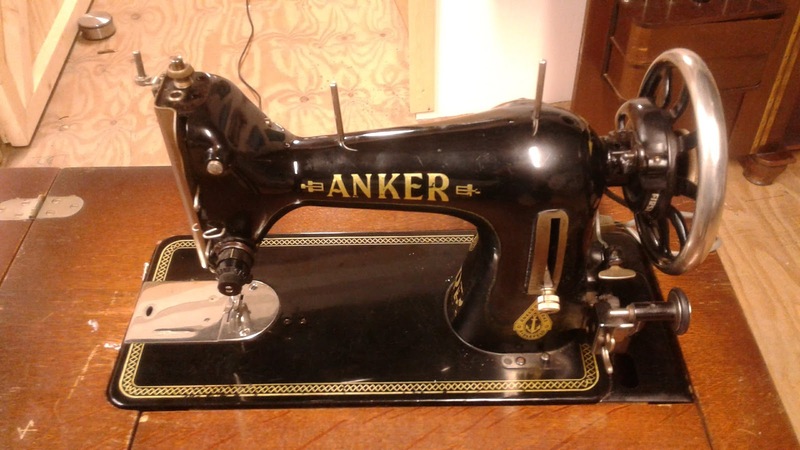 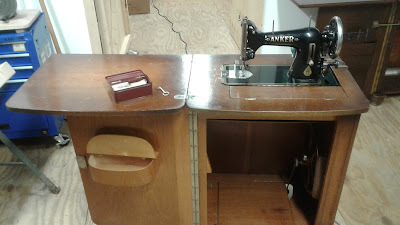 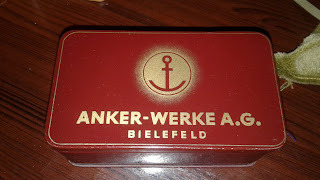 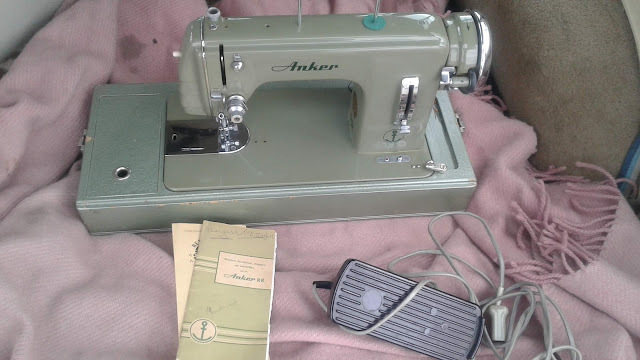 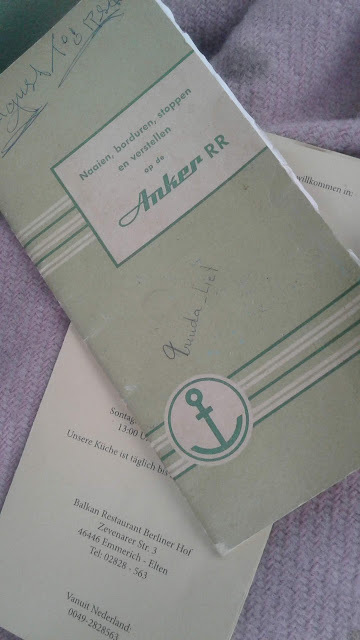 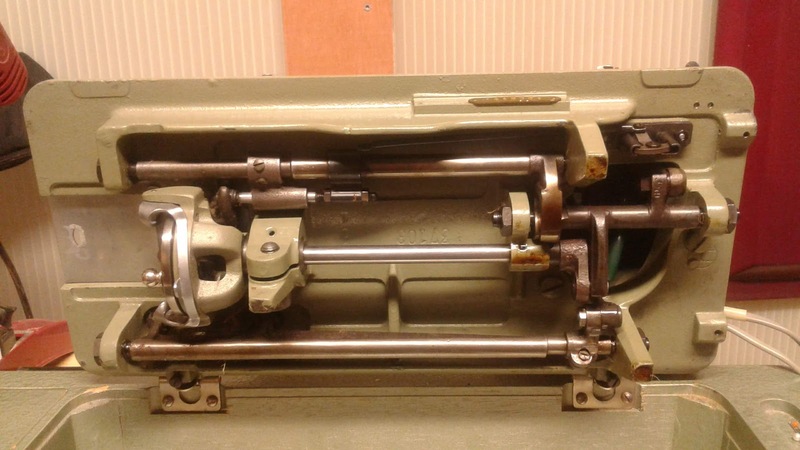 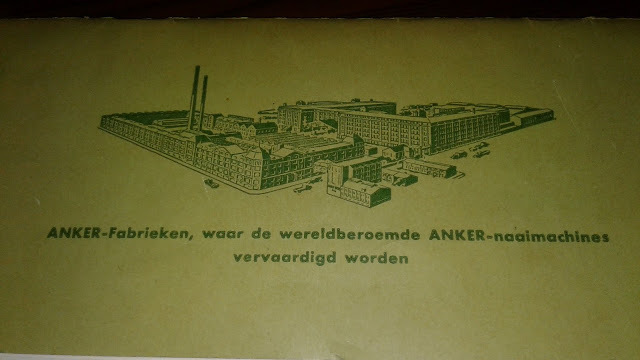 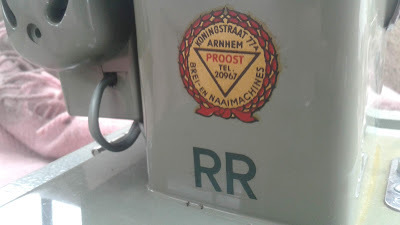 Today I found another beautiful Anker RR sewing machine manufactured in Bielefeld, Germany. Both machines were originally sold by the same supplier. 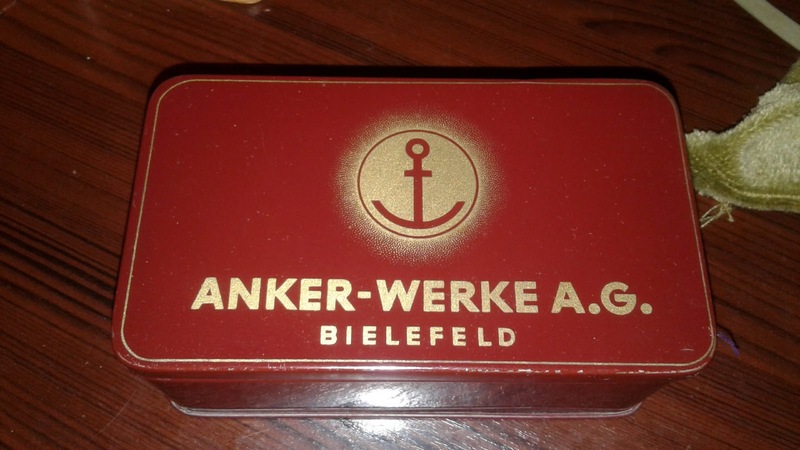 The only difference is the case. 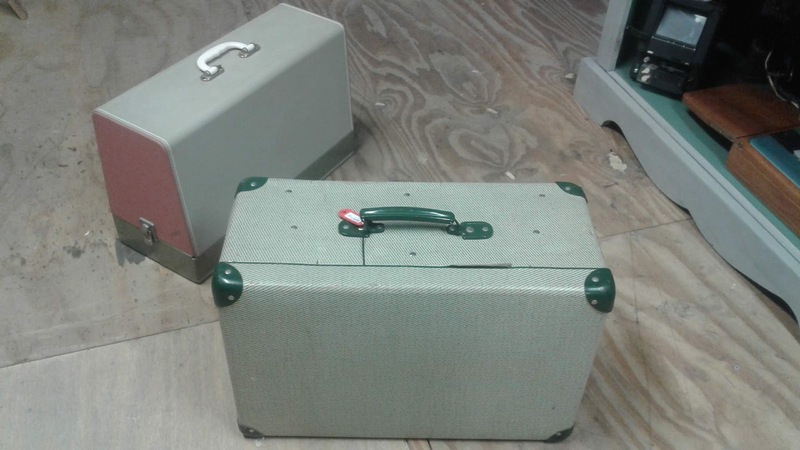 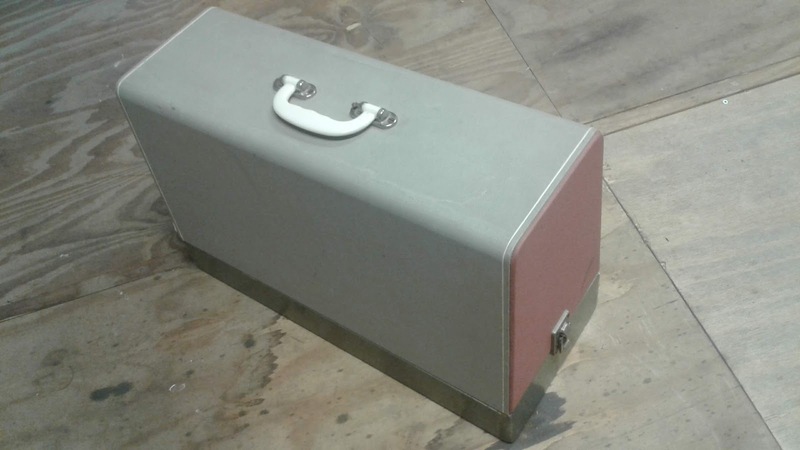 This one has a painted footbox with a cover that clips in place. The older machine comes in a luggage case. 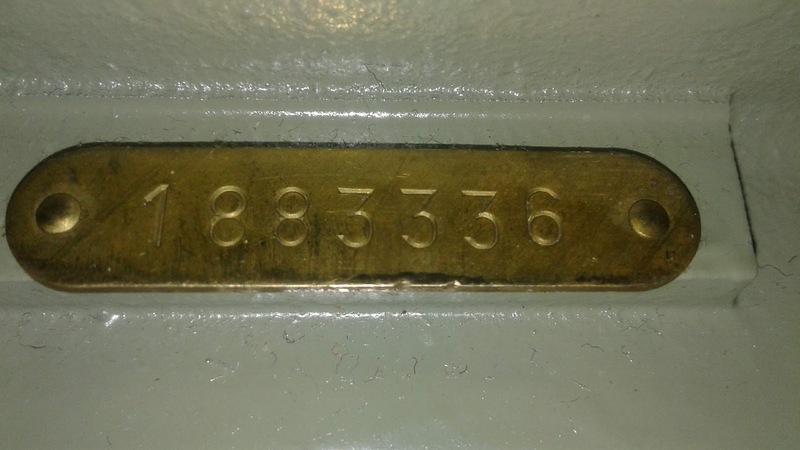 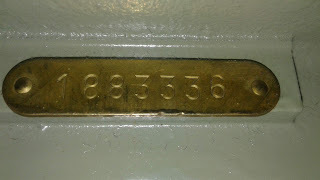 As this serial number is higher we can assume this machine was manufactured a little after 1956 as there is a bill of sale dating the other machine to that year. 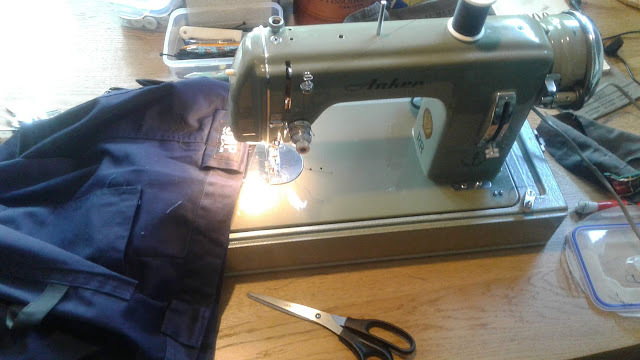 After some lower tension adjustments the machine made short work of hemming a set of workpants legs. 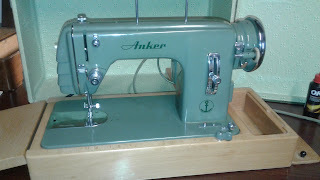 The green Ankers look much more modern than this Treadle machine, but mechanically they are very similar.